1. An official Invitation OR 'Certificat D'Hebergement' (Certificate of Accommodation) from Congo-Brazzaville. Please provide 2 copies of this document. If the invitation or certificate is not an original, a copy will suffice. - Job title, purpose of travel, length of Visa required and date arrival in Congo-Brazzaville/Pointe Noire. Please provide 2 copies of this document. Business visa conditions will apply. In addition, all journalists, photojournalists, researchers, cameraman, producers must obtain a written permission to film or carry out their duties in the country provided by the relevant Ministry in Brazzaville, before entering the country. Please provide a full inventory of all equipment, this will be certified by the Consulate, and must be carried at all times during stay in Congo. Note: Driving over land, using your own vehicle will require a Carnet de Passages en Douanes. - Up-to-date appropriate vaccinations i.e Yellow Fever, Cholera etc. Which you will need to travel, the Consulate does not have to see this. All nationalities can apply for a Visa at the Consulate in London. *Applicants who were born in Dem. 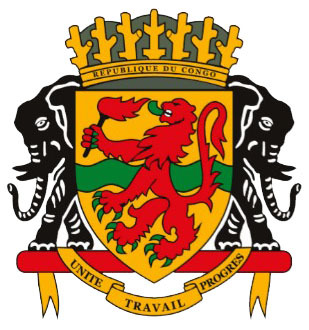 Rep of Congo (Kinshasa) will need to supply a Certificat d'Hebergement from a colleague in Rep. of Congo (Brazzaville/ Pointe Noire) to obtain a Visa. The Consulate can not supply a Visa without this document. When applying for a Visa, you can come to the Consulate here, you do not have to come in person, someone can come on your behalf. Visa applications can be sent to our address, by courier or by Royal Mail Special Delivery. All applications sent by Royal Mail Special Delivery must have a paid return envelope as this will not be the Consulates responsibility. This service is available for UK applicants only. We accept cash or Postal Order for this type of application. Please contact the consulate to inform us that you are sending an application prior to sending them. All applicants from outside of the UK will need to apply via an associate / Visa agent based in London/UK on their behalf. If you are based outside of the UK, the Consulate requests that you contact us prior to applying. Visas will be available on a next day collection. The Consulate is unable to process Visas for same day collection.